North Melbourne, Australia, November 12, 2018 - Bluefish444, manufacturer of the professional video industry’s highest-quality uncompressed 4K SDI, ASI, Video Over IP & HDMI I/O cards and mini converters, announces Crescent, Inc will be demonstrating 4K SDI and SMPTE 2110 playout with KRONOS I/O hardware, live SDI Edit-While-Record with Bluefish444’s IngeSTore software, and live SDI to NDI® conversion with IngeSTream at Inter BEE 2018. Bluefish444 will feature a 4K 60p SDI monitoring workflow utilising KRONOS Elektron I/O hardware with Marquise Technologies MIST and ICE software, outputting to a 4K SDI broadcast monitor. 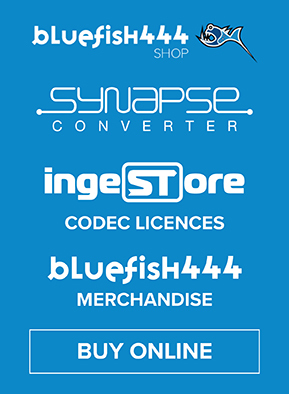 IngeSTore is Bluefish444’s complimentary multi-channel 3G/HD/SD capture software, allowing SDI ingest to a range of formats, including uncompressed and DVCPRO complimentary formats, and DNxHD, ProRes, AVC-Intra, Sony XDCAM, and JPEG 2000 codecs via licences available at the Bluefish444 Shop. 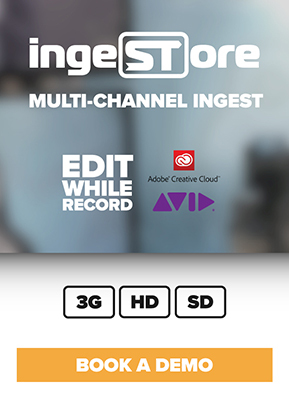 IngeSTore supports Edit-While-Record workflows, and with the BlueRT plugin, allows growing files to be edited by Avid® Media Composer® and Adobe® Premiere® Pro CC while recording continues with IngeSTore. A live production Edit-While-Record workflow including simultaneous SDI/HDMI playout from Media Composer, will be demonstrated at Interbee 2018. Bluefish444 will be demonstrating the KRONOS Optikos video card, outputting a SMPTE 2110 uncompressed IP stream from Media Composer and Premiere Pro via 10Gb Ethernet to a HDMI monitor via an IP to HDMI converter. Live SDI media captured by IngeSTore and recorded to Network Shared Storage, will be accessed by Media Composer and Premiere Pro while recording continues for a live Edit-While-Record growing files workflow. With full support for NewTek's NDI protocol, RTP, and SMPTE 2022/2110 streaming protocols, Bluefish444 will be demonstrating the forthcoming IngeSTream multi-channel streaming software. 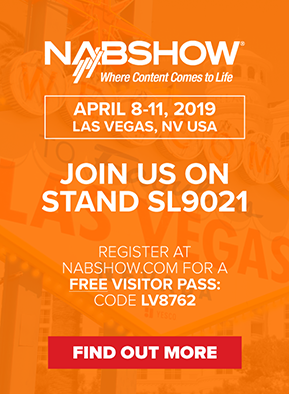 IngeSTream supports multi-channel SDI to IP-based protocols, and the workflow demonstration will include streaming from live SDI sources to a NewTek TriCaster® Mini via 1Gb Ethernet and the NDI protocol. Bluefish444 cards have been used on award-winning feature films, commercials, music videos and sports events worldwide. Bluefish444’s range of video cards are incorporated in video servers, encoders, decoders and character generator solutions by numerous 3rd-party OEM manufacturers, in addition to other niche & mainstream applications.